Welcome! 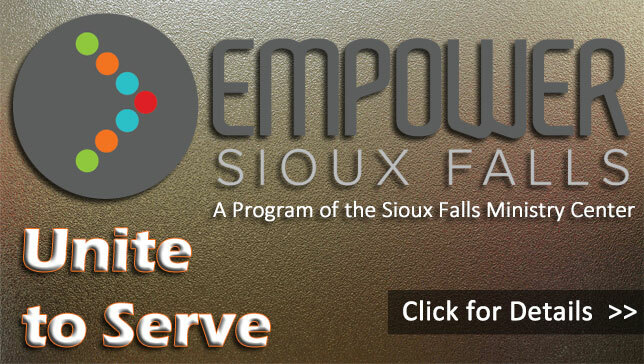 We hope that you will take the time to learn more about The Sioux Falls Ministry Center (SFMC) by fully exploring our website. The SFMC is conveniently located in downtown Sioux Falls to help meet the physical and spiritual needs of all people. Please contact us with questions or if you desire to share your gifts with this important ministry! Radical generosity has made the purchase and renovations of the facility possible. We are now seeking partners who would be willing to support the ongoing operations of the facility. Click here to donate.